Supermarkets and health food stores can be expensive. 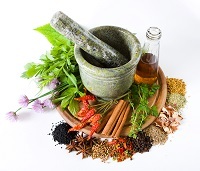 When it comes to buying culinary herbs or those used for medicinal purposes, the best alternative is growing your own. It provides ample supply for your needs and even a novice can manage caring for herb plants. There are two options for growing herbs. People who live in apartments or who do not have access to a wide enough patch outdoors can grow their herbs indoors. Indoor plants are less likely to be affected by worms, insects, yellowing by the sun and weather issues. As long as you have access to adequate sunlight, fertilizer to nourish your plants, good drainage and water, they will live and thrive. For people who have an area available for growing outdoors, a variety of herbs can be cultivated. One advantage to an outdoor space is that you can plant more herbs. Some plants take over and therefore need to be planted alone. Others have strong smells and are best kept to themselves as well. Depending on your preference, you can grow herbs from seedlings or seeds. It is a bit more work to grow from seeds, though. Herbal seeds kits are available at most garden centers. They act as small greenhouses, holding in moisture as the seed takes root. Once they sprout and become mature enough, transplant them in the ground. Seedlings that already have maturity work well for those who don’t have a green thumb. The hard part is done and you can begin by transplanting into the ground. Here are some tips for outdoor planting. Choose your herbs – Some herbs grow best from seedlings and some from seeds. 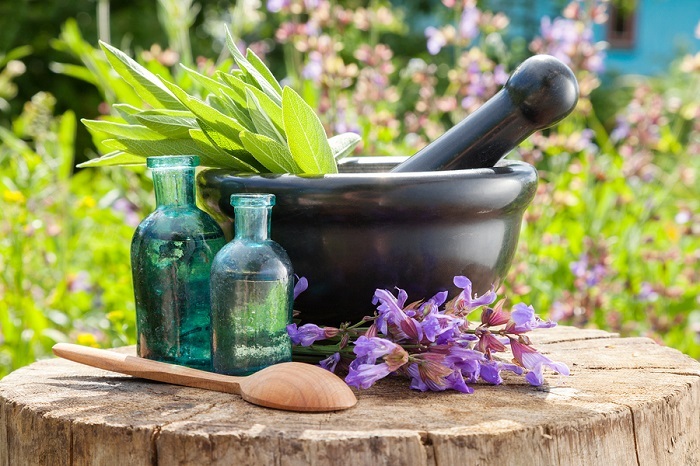 Know which ones work best and then decide how you want to begin the herbal garden process. Also learn which ones need sunlight (or shade) and certain water requirements. Try to group plants according to their growth requirements for best results. Fix your soil – Measure your space. A plot about 10 by 20 (square feet) is adequate. Raised beds can keep you from having to weed constantly. Turn over the soil to remove weeds, rocks and any other debris. Make sure that the soil is good for drainage and air circulation. For nourishment, add in organic compost. Plant your herbs – Section off your spaces for specific kinds of herbs. Plant more than one seedling per type of herb so that you always have enough to harvest. Keep them watered – Overwatering can retard growth. Add water regularly to keep soil moist but not overly damp. A layer of mulch on top can keep weeds away. Harvest leaves during the summer and into fall. Some herbs are hearty enough to stay fresh and potent through the winter, but most will fall off and lose flavor. It is best to harvest at their peak. Growing your own herbs can be both rewarding and fun. Once you get them started, a little maintenance is all you need for wonderful results.